Come and see all the wonderful things the Cricut Explore can do! Did you get an Explore, and now have questions on how to use it? 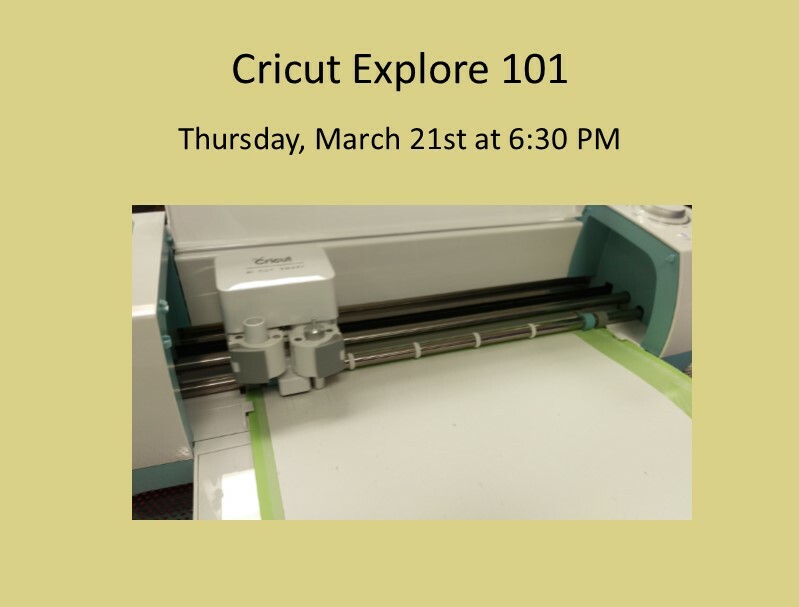 I will be going over the features and showing you how the Cricut design space software works Feel free to bring your own machine and laptop if you would like to. I will be bringing materials for a small project. I will also give you my email address to contact me for questions and will also email a link to a user’s manual after the class. Liz has been crafting for over 15 years. She was part of the Cricut Demo Army and has received instruction by Provo Craft *the manufacturer of the Explore) and has extensive knowledge of the machines. She was a ProvoCraft demonstrator at Joann Fabric, Best Buy, and Michaels. She teaches Cricut classes, Scrapbooking and other paper crafting classes at local scrapbook stores and retreats in Connecticut, Vermont, and other parts of New England.